The Volvo account is managed by Line Up, our sister company, with offices in London and Sweden. Line Up has an exceptionally strong track record in automotive markets. Shelton Fleming and Line Up share resources and expertise, where there's a benefit for clients. Previously owned by Ford, Volvo is now part of Zhejiang Geely Holdings of China. Geely’s acquisition of Volvo Cars in 2010 marked the beginning of its transformation and the re-invention of its portfolio of vehicles. This iconic Swedish car manufacturer is synonymous with a sense of humanity and safety. However, for a long time, the brand was also perceived as "safe" in the pejorative sense; i.e. lacking excitement or personality. That's all changed. With the Volvo Group's declared shift in strategy to hybrid and soon, the electrification of all models, those somewhat sleepy brand credentials are being transformed. Today, the brand is being reinvented as modern, technologically advanced, and stylish. This has been achieved by retaining a humanist narrative. Connecting on a fresh, human level, gives Volvo a genuine platform to take on the luxury German marques, with their more aloof, engineering heritage. 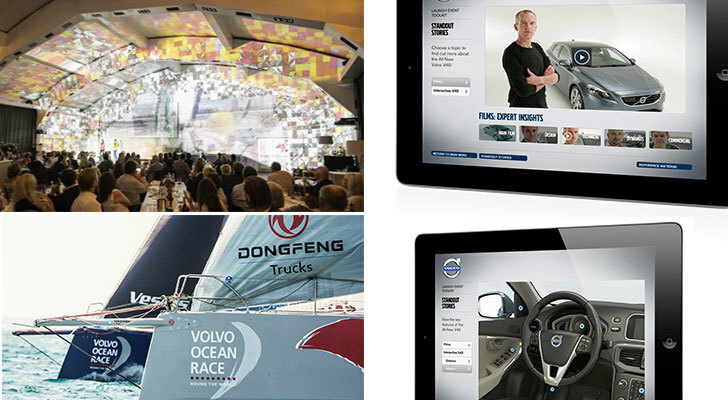 The brand narrative that underpins the live event work for Volvo, is geared this thought: human life is precious and, at the same time, mankind has a unique and privileged influence on the world. This focus has always been at the heart of the Volvo brand. So, Volvo’s strategy is that of human centricity. And to take pride in helping the world become a better place for all. Building on their reputation for safety, Volvo cars have committed that by the year 2020, no one will be seriously injured or killed in a new Volvo. Line Up's work spans major, pan-European launches of new models - that reach thousands of car retailers, over 8 or more weeks. These include complex Ride & Drive's to show off the urban and off-road qualities of new car models. These complex events and retail engagement programmes include film, web and digital communications. About Line Up: Line Up was acquired by Shelton Fleming in 2016. They employ a fully integrated team of event management experts, ranging from creative production, set design, build and technical, to content production, digital communication, venue search, travel, hospitality and delegate management, all under one roof. Like Shelton Fleming, Line Up operates across a global canvas in the brand experience and live events space. No, you can’t shake it for a free one.